First, I want to begin by posting the video of an important statement made by Russian Deputy Defense Minister Anatoly Antonov who is calling the USA's bluff and challenging those who made accusations against the Novorussian Resistance and Russia to show their evidence. A special thank you! to the fantastic translator teams who managed to translate and subtitle this video in less than a day: you guys are literally providing a priceless service in the struggle against the Empire's propaganda machine! 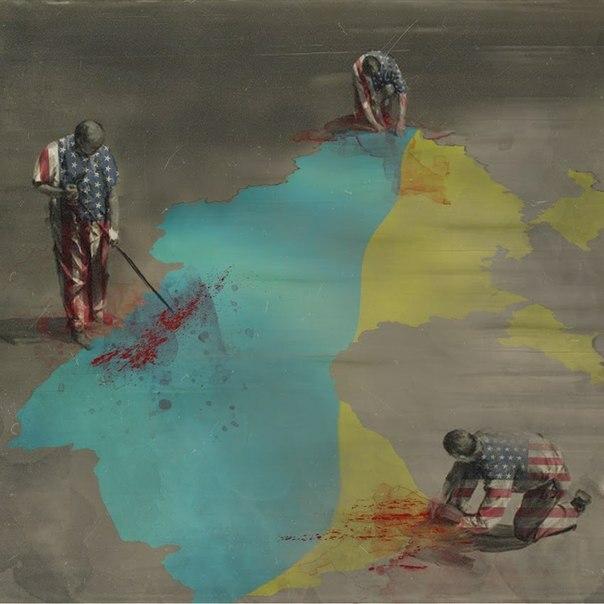 The next item today is a Ukrainian SITREP based on Colonel Cassad LiveJournal and translater by Gelb Bazov to whom we all also owe a huge debt of gratitude for his top-quality work in providing us with timely and detailed translations of documents which would never exist in English otherwise. In the course of the battles of July 21-23, the enemy has effectively taken the advance line of defence – Dzerzhinsk, Karlovka, Maryinka, and Netailovo and, from the north-west, pushed the Militia into the urban area, partially de-blockading the Donetsk airport, where it was previously sustaining heavy losses. Having concentrated their mechanized reserves and their small numbers of artillery, the Militia is expecting a repeat strike in this area. 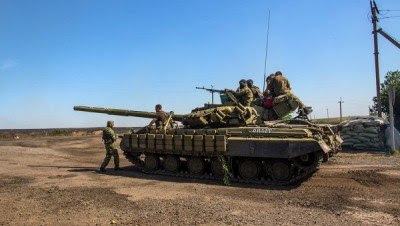 The Junta will need 1-2 days to transfer in its artillery, regroup its forces and to commence an offensive aimed at surrounding Donetsk and Gorlovka. The city is continually being shelled, and the strikes are terroristic in character. On the part of the Militia, almost all the reserves have been entered into battle; the Junta also has also engaged almost all the available reserve forces. It still has no strategic reserve despite the yet another wave of mobilization. Despite the withdrawal, the Militia continues to conduct active counterattacks using its Saboteur-Reconnaissance Groups [“SRG”]; today 1 or 2 SRGs entered Dzerzhinsk, as a result of which fighting resumed in the city, while the checkpoints on its outskirts were subjected to severe shelling. Yesterday, the main forces of the Militia in the area, commanded by Mozgovoi, were withdrawn from the Lisichansk Protrusion to Alchevsk, following which small covering forces of the Militia (totaling 300-400 in Lisichansk) and SRG were left to defend Lisichansk and Severodonetsk. While in Severodonetsk sporadic battles between the Junta forces and LPR [Lugansk People’s Republic] SRGs are currently ongoing, Lisichansk itself was mostly retaken today by the forces of Mozgovoi acting jointly with reinforcements sent from Lugansk. The centre of Lisichansk is firmly in the hands of the Militia and is systematically being shelled by the enemy artillery. The infantry of the Junta has been forced out to the outskirts of the city and is in no hurry to get back into direct combat. When yesterday Mozgovoi announced that the Militia were to withdraw for Lisichansk (apart from several groups that refused to follow the order and abandon the city), and Bolotov’s evening “order of counteroffensive” was yet to come, I was warning that not everything should be taken at face value. In addition to the military operation, there is also its informational component. At night Mozgovoi will return to the city. Which is exactly what happened. LPR militiamen have already reported that they were able to reestablish control over Lisichansk, which is 90 kilometres to the north-west of Lugansk. According to the commander of the fast-reaction unit, who goes by a radio call-name Krot [Mole], self-defence fighters destroyed the artillery batteries of the Ukrainian military, as a result of which the shelling of city stopped. According to him, as a result of the night battles, the forces of the punitive army that managed to enter Lisichansk have fled the city; however, they did not retreat far. 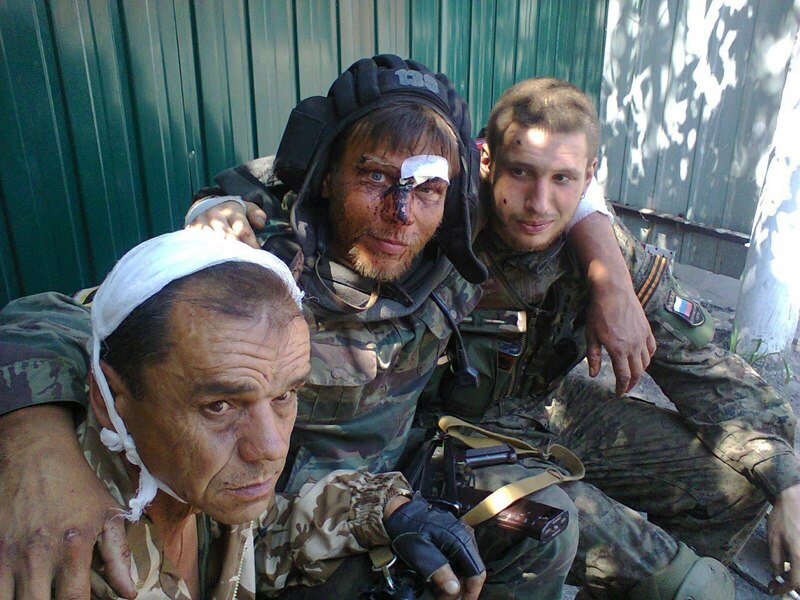 Pursuant to Bolotov’s order, several units from Lugansk came out to assist Mozgovoi’s fighter. They relieved the units that had been previously engaged in combat and had suffered substantial losses as a result. The Militia also reports that battles for Severodonetsk in the western part of LPR continue unabated. 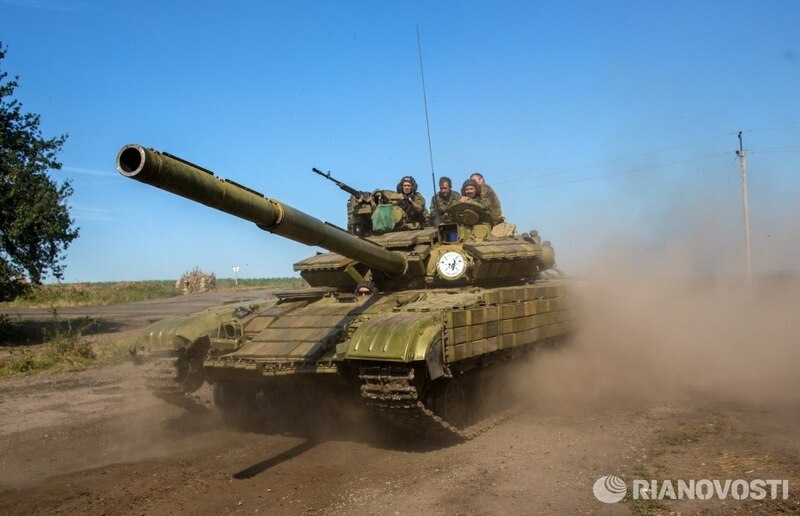 After a powerful counterstrike, the fighters of LPR regained control over Lisichansk. The city militia, which heroically remained in complete encirclement for almost two days, has joined the main forces of the LPR Militia. The forces of the Ukrainian Nazi barbarians disorderly retreated. Mozgovoi’s retreat spawned an altercation between Bolotov, Mozgovoi and Strelkov that left many observers agitated. In reality, everything is far simpler that it would appear to some. The conflict between Bolotov and Mozgovoi has existed for a long time (dating from the time of their imprisonment by the SBU [Ukrainian Security Service]) and, in fact, has not dissipated. Both Mozgovoi and Bolotov made claims to leadership in the LPR. In the end, owing to his control of Lugansk, Bolotov gained access to cross-border supplies of aid and significantly increased his political weight. Together with his unit, which gradually grew to the size of an entire battalion, Mozgovoi first left for Stakhanov and later advanced to the Lisichansk Protrusion. After Strelkov’s arrival in Donetsk, Mozgovoi for all intents and purposes locked on to Strelkov. The information suggesting that Mozgovoi was experiencing catastrophic shortages of equipment was coming in for 2-3 days prior to the retreat from the Protrusion. 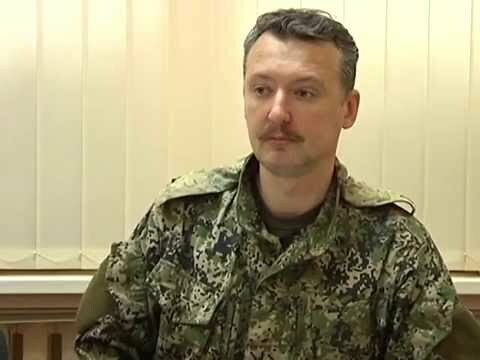 In Donetsk, Strelkov has only 5 tanks and several BMPs and BTRs. Understandably, he could not spare any armoured vehicles to help Mozgovoi. After Mozgovoi’s retreat, Bolotov complained, saying that it was still possible to keep the city. Some time following his statement, Strelkov responded, to the effect that in order to keep it with confidence, Bolotov should not have been hoarding all the military equipment, but, instead, should have shared it with others. Judging from the relative successes of Bolotov’s counteroffensive, he did have equipment in reserve. Why it did not arrive in the area of Lisichansk or Debaltsevo earler is a topic for discussion. Overall, this altercation has showcased the continuing contradictions among the military command of DPR and LPR. Essentially, it is possible to positively state that, at this time, the following units and field commanders have subordinated to Strelkov and his staff: Bezler, Mozgovoi, Battallion Oplot, Battalion Kalmius, the Russian Orthodox Army, Brigade Vostok, and the forces operating near Saur-Mogila and Marinovka (DPR). It is unknown whom the militiamen in Debaltsevo obey. It is also uncertain to whom Ataman Kozitzyn subordinates, and, considering that he is not on good terms with both Bolotov and Strelkov, it is clear that he does not obey them. 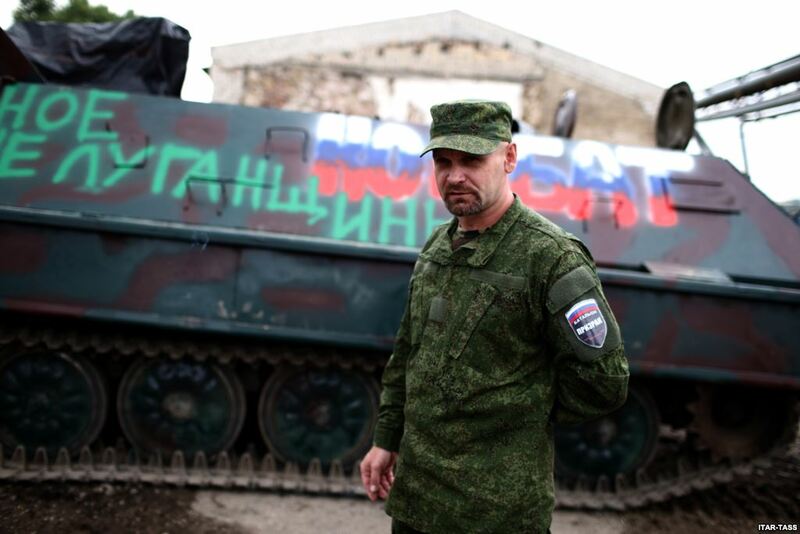 Bolotov commands the large part of the Militia units on the LPR territory. In other words, the issue of unified command has not been resolved to date, which is what has been causing public controversies among field commanders. Control over Debaltsevo and the retreat of Mozgovoi’s units to Alchevsk have enabled the Militia to safeguard the Donetsk part of the key highway connecting DPR and LPR, Accordingly, in this area, the primary risk for the communications network of Donbass would come from the Junta forces breakthrough to Lutugino in LPR’s zone of responsibility. The road that passes through Antratsit and Torez also continues to function, and, although its throughput and length leave much to be desired, overall it remains a kind of a reserve communications line in the event the Militia is unable to retain the highway that passes through Debaltsevo. 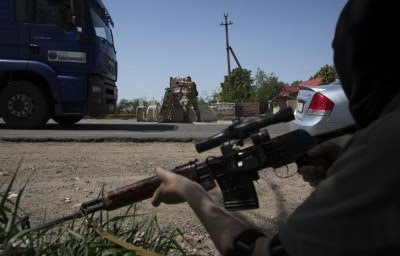 Battles for control over the highways connecting the Lugansk region to DPR continue to the west and to the northwest of Lugansk. Both sides are contesting control over the highway near Lutugino, where heavy fighting using armoured vehicles and MLRS has been ongoing for 3-4 days. Battles in the surrounding villages, like Roskoshnoye, have a tendency to be positional in nature, without generating decisive outcomes. The Junta continues to be unable to punch a stable corridor through to the surrounded Lugansk airport, and the transfer of a part of the force from the Lugansk front to the Lisichansk Protrusion has seriously weakened the offensive capabilities of the Junta – which is why the situation on the LPR territory remains sufficiently stable. The city is continues to be subjected to systematic artillery shelling, but these strikes have terroristic, rather than military objectives. 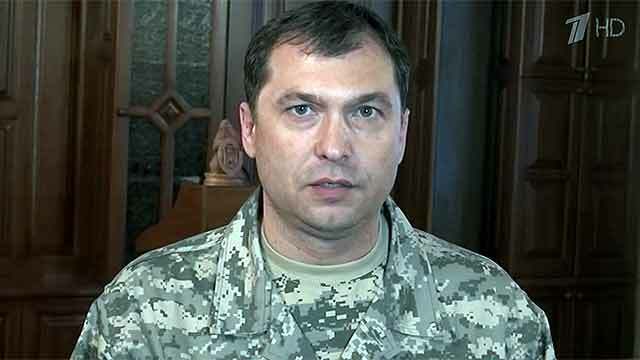 After the elimination of 2 enemy SRGs within the city limits, the situation on the streets of Lugansk became calmer, which is what enabled Bolotov to throw a part of his forces into an offensive in the Lisichansk Protrusion and in the area of the highway to Donetsk. The Junta forces remain encircled. This includes the battered 79th and 24th Brigades and the remnants of the 72nd Brigade, as well as the remains of the punitive Battalion Shakhtersk. 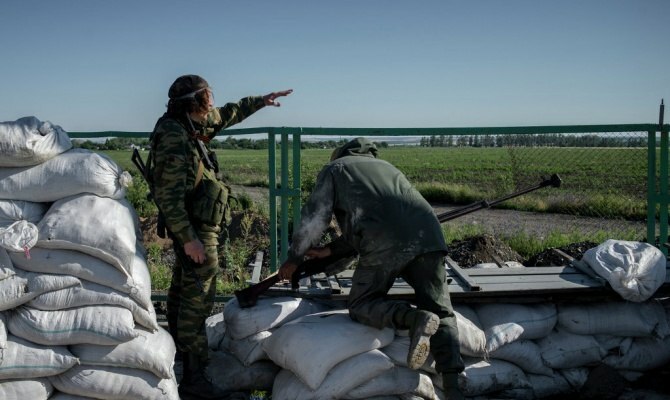 For several days now, the bottleneck near Marinovka (DPR), occupied by the Militia, has been under continuous attack by the Junta forces, which are seeking to de-blockade their surrounded troops, but the militiamen have been steadfastly repelling the attacks. At the same time, fighting continues on the interior ring of the encirclement, where the Militia is attempting to narrow the cauldron. However, due to insufficient troops, the offensive here is primarily of a tactical nature and has yet to lead to a breakup of the surrounded forces. Because the surrounded troops have nowhere to advance, most of their military equipment has been destroyed, and they experience severe difficulties with supplies of fuel, their primary hope for salvation lies either in a breakout through Marinovka (DPR) or in overall success on other fronts. Accordingly, if the militiamen manage to stabilize the front on the northwestern direction and to sweep and purge the Lugansk airport, they will be able to free up sufficient troops to finish the cauldron once and for all. Generally speaking, the situation here is one of unstable equilibrium. A heavy battle continues near Marinovka. Our forces continue firmly to hold Dubrovka and to attack on both the western and the southwestern directions. Our artillery continues to conduct strikes at the concentrations of enemy troops near Grigorovka and in the area of the customs terminal Marinovka. Right now, units of the Battalion Azov bastards have been drawn there, along with some other Nazi skunk [National Guard] rabble. Over Saur-Mogila a ground attack jet of the Ukrainian Air Force was shot down. The pilot catapulted out. Another plane may have been damaged. In the morning, an SRG of the 2nd Slavyansk Battalion attacked the checkpoint of the enemy on the outskirts of Starobeshevo. They were able to lure a ZU-23-2 unit mounted on a truck out from the checkpoint and to thrash its crew. The Ukies sustained known losses of 2 “200s” [KIA/Killed In Action] and presumed losses of 3 wounded. On our side, one of the militiamen was wounded in his arm. In addition, Zakharchenko stated that today, near Dmitrovka, DPR fighters were able to shoot down a Su ground attack jet of the Ukrainian Air Force. One more was shot down near Snezhnoye. According to the militias’ reports from the scene, one of the pilots landed in the “green.” The parachute was found; the pilot remains to be captured. According to Zakharchenko, the Ukrainian army primarily uses heavy military equipment and artillery and avoids entering direct combat. During the night, hand-to-hand combat frequently broke out during fighting. “Unfortunately, we also sustained losses. We know what we are fighting for,” – said Zakharchenko. He remarked that communications with other DPR units were interrupted, and that, accordingly, detailed information will become available later. He remarked that he is still not in possession of concrete information with respect to the losses of the Ukrainian side in yesterday’s battle. “I am able to confirm that 2 Ukrainian BTRs were hit in Kozhevnya. Four mortar crews, together with mortars, were eliminated. With respect to the work of our “neighbours”, I will speak to it later.” – concluded Zakharchenko. “We engaged in a seven minute duel with two Ukiefritz tanks. As you can imagine, our forces were far from equal. As a result, we were pierced with a cumulative shell from a tank. However, I was able to take our vehicle out from under fire, along with the crew. Every one of us suffered, but everyone is alive. Except for one infantryman killed in action, who begged to come with us to bring back the wounded. That yesterday’s battle for Kozhevnya almost became my last one. On the photo, it look like the crew of a BMP numbered 138, which was noted on the yesterday’s video of the Militia’s offensive. Seven minutes on a BMP against 2 tanks is sobering experience. The shot-down Su-25 aircraft is in the Dmitrievka area. Today, the Junta lost 2 aircraft, although, according to its statements, 1 was shot down and another one was severely damaged. The information was respect to the Junta’s aircraft losses is becoming clearer – since the beginning of the war, 12 aircraft were lost. 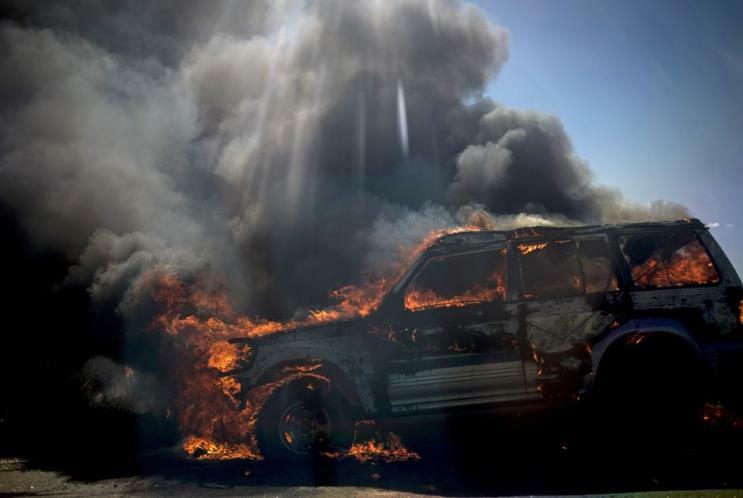 Photograph: A burning vehicle on the Lugansk-Krasnodon highway. At this time, the hole on the border is approximately 60-80 kilometres and has a tendency to expand. The collapse of the Junta’s offensive against the border crossing checkpoints ended up with a heavy defeat and large casualties. As the border guard service has fallen part, and the Junta has no capacity quickly to grow its forces on the border (they have all been drawn into battles on various directions), then, overall, the border has been safeguarded and the aid continues to flow. What will happen if foreign drones are introduced to border control is still a mystery. As the Cassad team is itself engaged in supplying across the border, then I will advise separately in the even we face serious difficulties. The 72nd Brigade, encircled to the south of Izvarino and Krasnodon, has, by the looks of it, ceased to exist as an organized unit. A part of its personnel has fled, a part has joined the encircled 24th and 79th Brigades. Practically all of the 79th Brigade’s military equipment has been destroyed or damaged (needs repairs either in field workshops or in factory conditions); there are large manpower losses. It can be confirmed that this is the first completely routed unit of the Ukrainian army itself, apart from the punitive Battalions that had been destroyed earlier. In general, the situation remains difficult, but the character of the fighting is such that for now there is no suggestion of a DPR’s and LPR’s complete defeat.